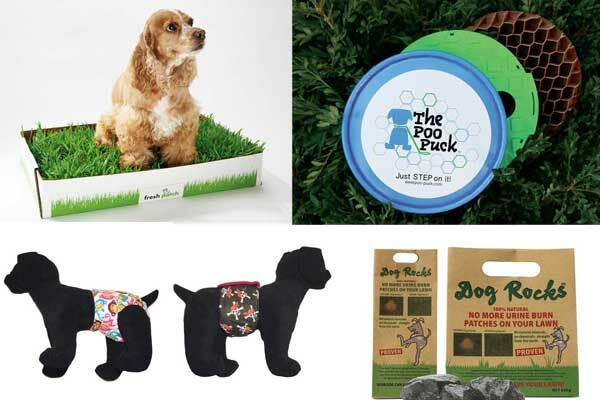 Enter to Win the Latest in Dog Products! 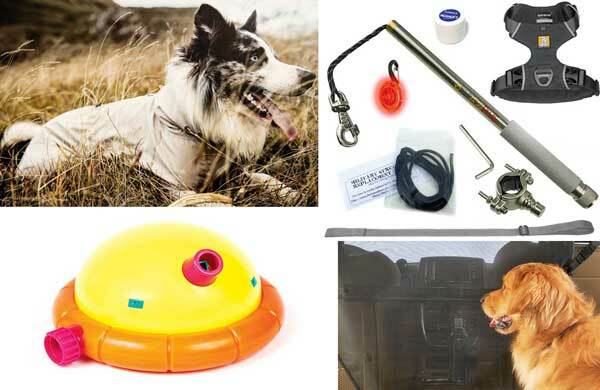 From food and supplements to calming vests and slow feeders, we are giving away the newest products that can help you pet. 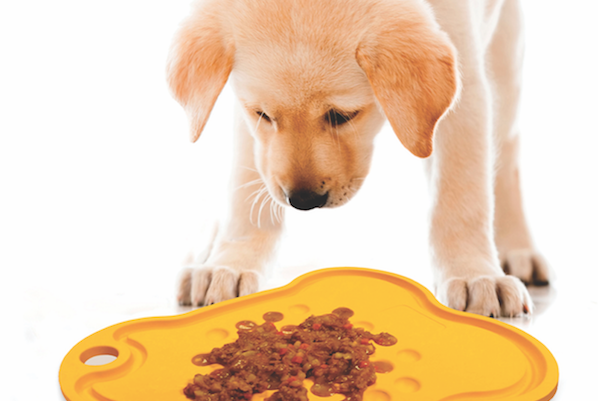 The collection from JoJo Modern Pets features a variety of brightly colored, stylish food bowls and mats. Enter to win a set now! 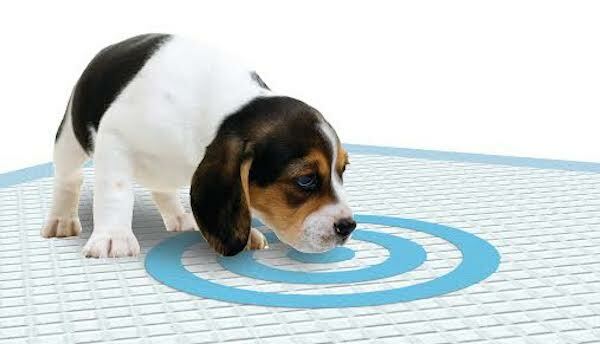 The pad has special features to break down, release, and even repel pet odors and stains. 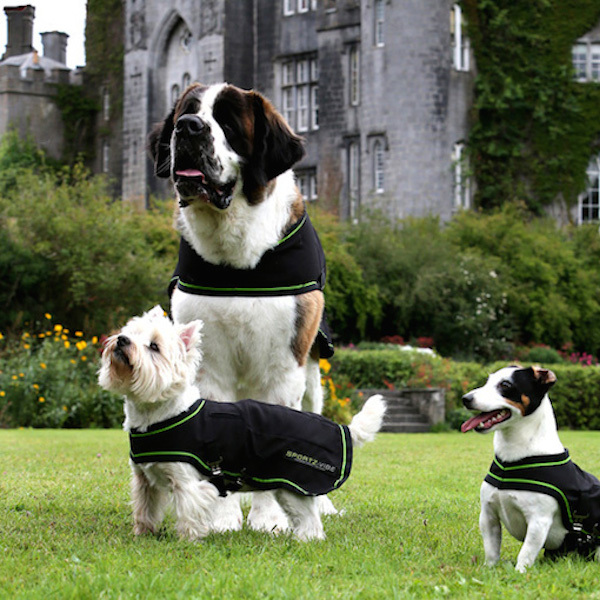 Win a CritterZone Air Naturalizer and Banish Doggie Smells! 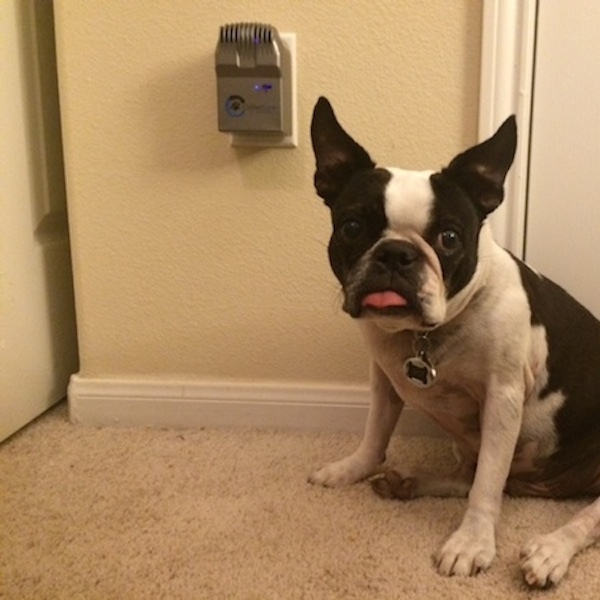 The device creates a natural, charged flow that fills a room and continually cleans the air, eliminating odors, allergens, dust, and bacteria. 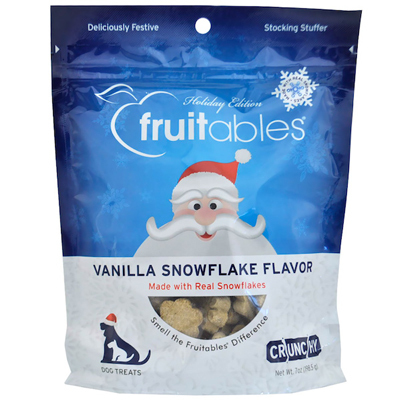 Win a Bag of Fruitables Vanilla Snowflake Dog Treats! Each bag contains 300 snowflakes! Along with hints of pumpkin, vanilla yogurt, and granola. We have five to give away. 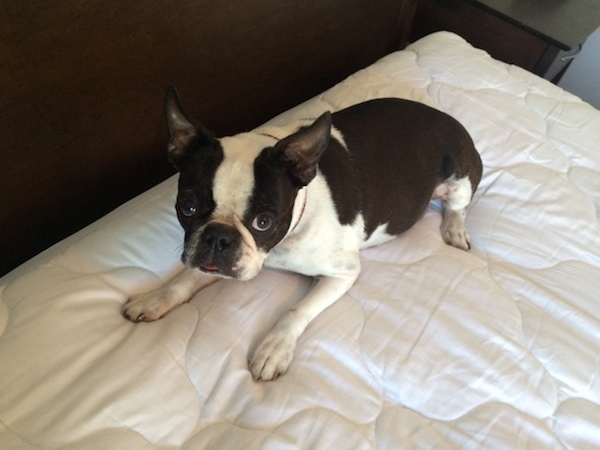 Its unique design helps brachycephalic breeds -- aka smushy faces -- and older dogs with fewer teeth. 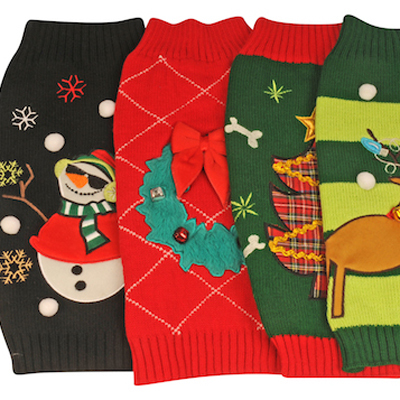 The collection features five ugly-sweater designs, perfect for the pup with a sense of humor. We have three to give away! 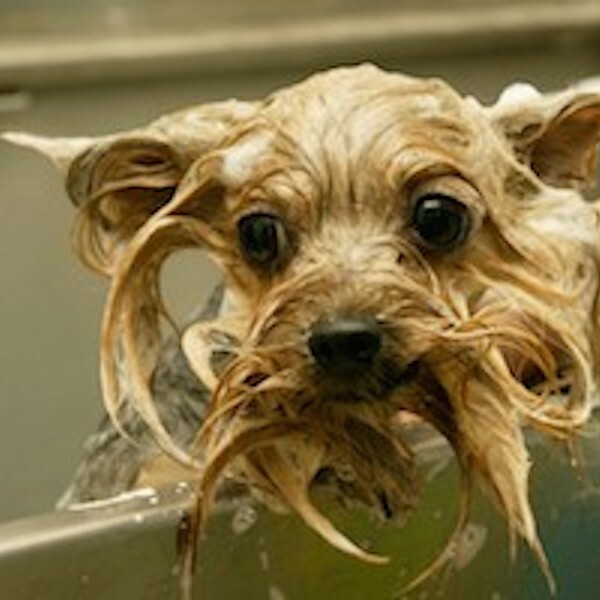 Get your stinky pup smelling great with all-natural Puppy Shampoo, Grooming Wipes, and Deodorizing Spritz. 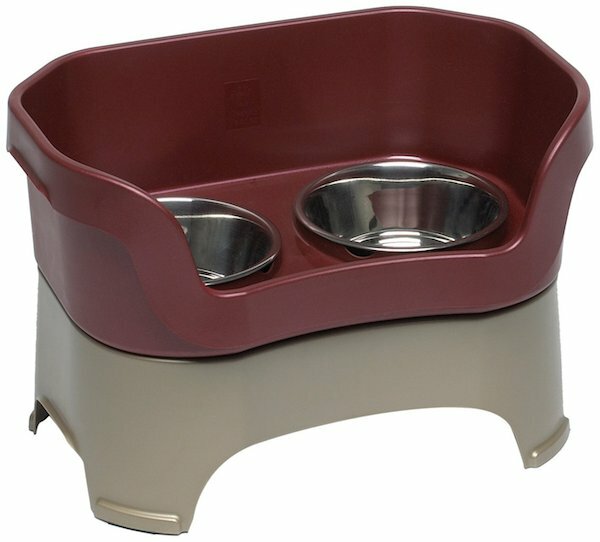 The Neater Feeder blocks flying food and collects spilled water in the lower level -- it's also at a more comfortable height for your dog. Got holiday travel plans? Take your pup along in Sherpa carrier, guaranteed for use on most airlines. It works for road trips, too. We have two to give away! 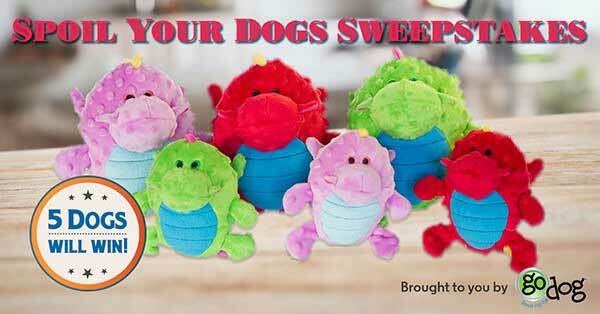 Win a Humunga Chomp Toy and Watch People Giggle! 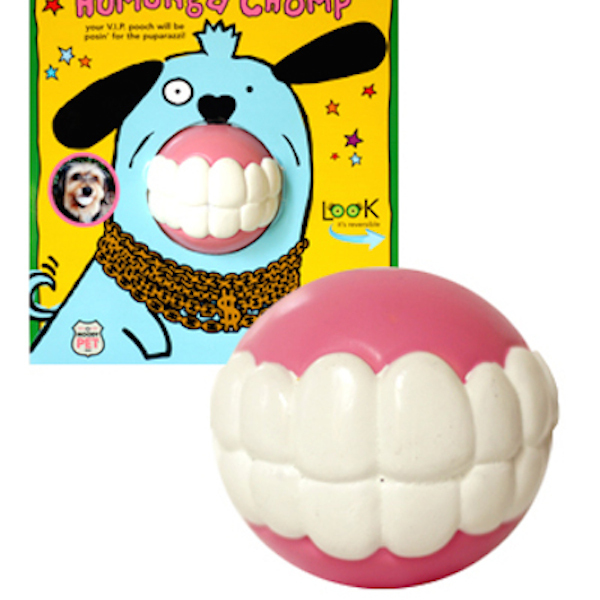 It's a non-toxic rubber ball AND a big set of fake teeth. What could be better? The battery-powered blanket fits like a coat and has alternating massage panels, which reduces the risk of injury and assists with recovery. 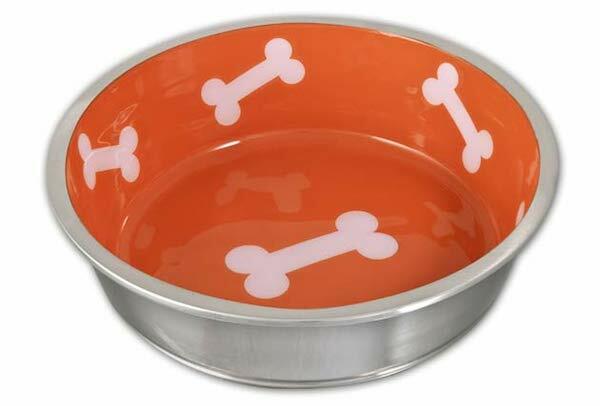 Tired of your dog pushing his bowl around? That won't be an issue with the heavy-duty Robusto. 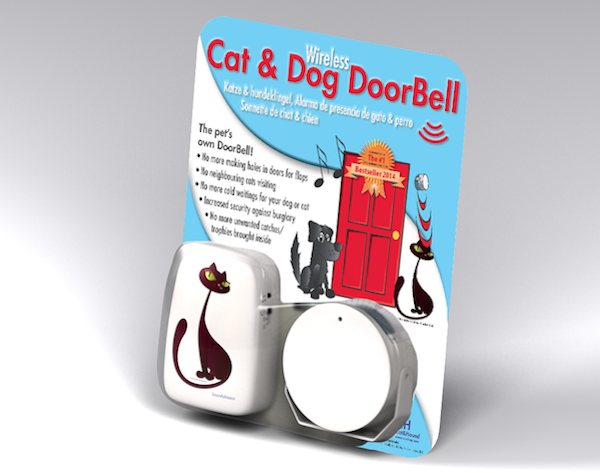 When your dog trips a wireless sensor outside, it activates light and sound inside the house. The handmade combo features marine-grade rope, leather, and solid-brass hardware. The pack contains bottles of BarkLogic's urine stain and odor sprays, along with Bullseye Pee Pads, which feature concentrated pheromones. Cast in solid brass, the pendant brilliantly captures the rare Balloon Dog breed. 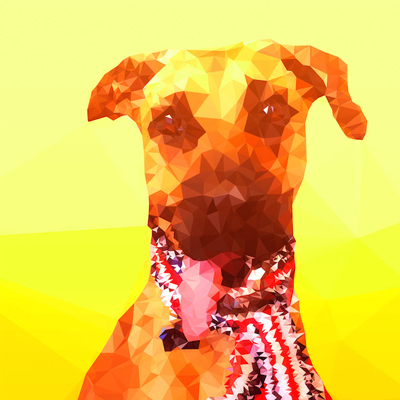 Dog Rocks purify your dog's water by removing nitrates, ending the scourge of pee burn marks. 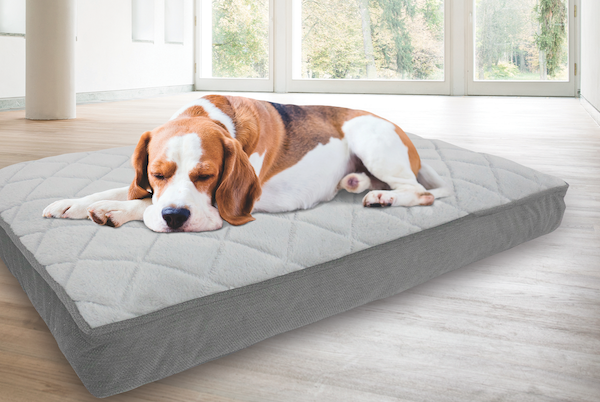 It's comfy, made of a cushy, non-toxic material that wipes clean and resists odor and bacteria. 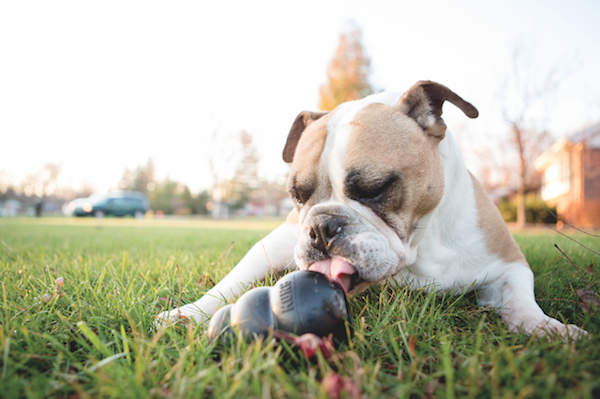 The device creates a meaningful dog memorial by combining ashes with soil and planting a tree. 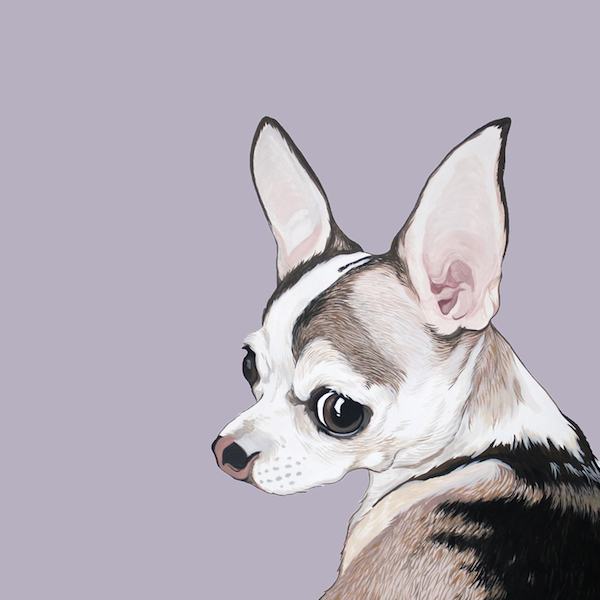 The artist works from owner-provided photos, capturing dogs in realistic style with watercolors. 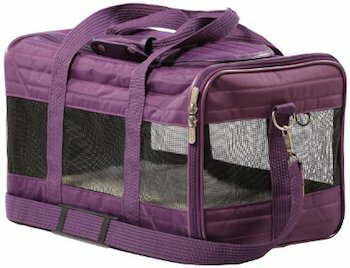 This dog carrier features black quilting on the outside and inside and suits dogs up to 12 pounds. 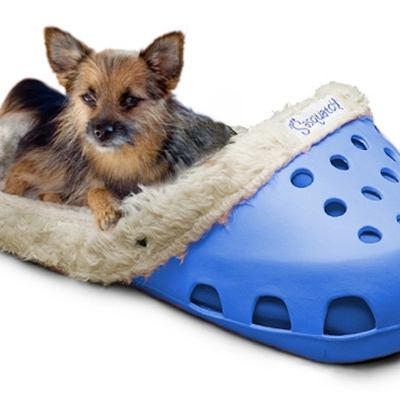 The Puppy Crib attaches to four-legged chairs giving dogs a comfortable place to snuggle up.